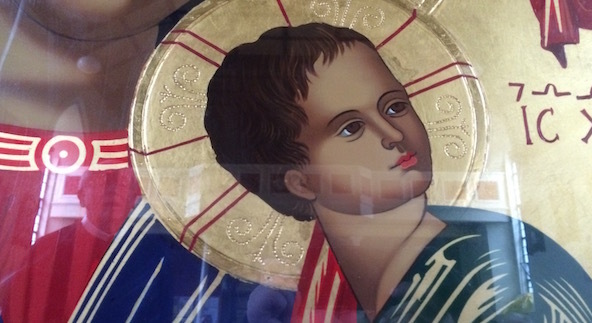 Milo and his Mom and his Grandmother were in Esker on the last day of the visit of the Pilgrim Icon of the Mother of Perpetual Help, in April 2016. His response to the icon and his photograph of it, opened up a whole new understanding for me of the meaning of the Icon. Follow the story in this six-minute video released by Redemptorist Communications on June 1st, 2017 as the Novena season began. 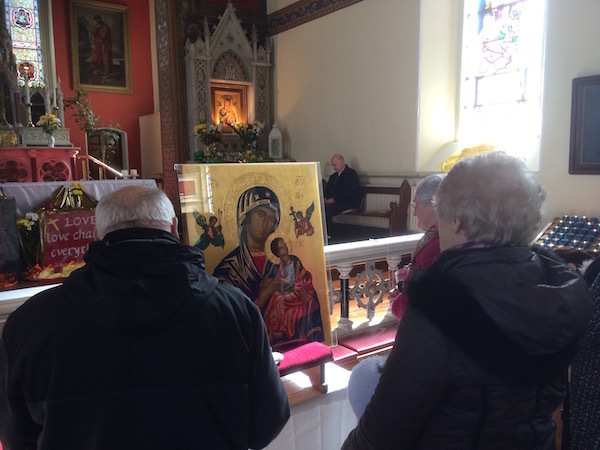 Click here to view the video ‘Mother of Perpetual Help – Reflection on the Icon’ by Séamus Devitt C.Ss.R. 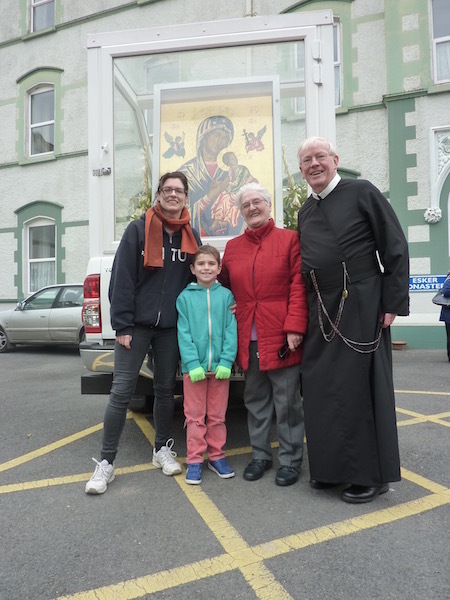 The Pilgrim Icon (April 2106) just before leaving Esker. Here's where Milo took his own photo.